I have a very discerning palate especially when my almost-constantly half-blocked nose is not blocked. My sense of smell and taste is particularly acute. I am known for walking into a room and being able to smell 2 slices of bread someone laid on a plate. Plain white bread. Having this acute sense also means that I have very discernible likes and dislikes when it comes to food and beverages. Like soy milk for example. 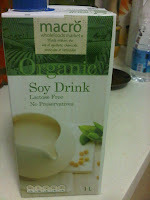 Being lactose intolerant, I explored all brands of soy milk while living in Sydney, where soy milk is common. Some were too nutty, some tasted artificial. I finally found a brand I like, the Woollies Select Organic Soy. In particular, I also found a brand I really didn't like - Bon Soy. Anyway back to the one I like - unfortunately, this proved harder and harder to find. Finally, I came to the conclusion that Woollies has discontinued this line. In any case, moving back to Singapore meant that looking for soy is akin to looking for a rare gem. Local soya milk is a-plenty, but if one wants the non-sugared "Western" soy for tea or coffee or cereal, there are all of say, 4 brands to choose from, all of which cost an arm and a leg and taste equally bad. 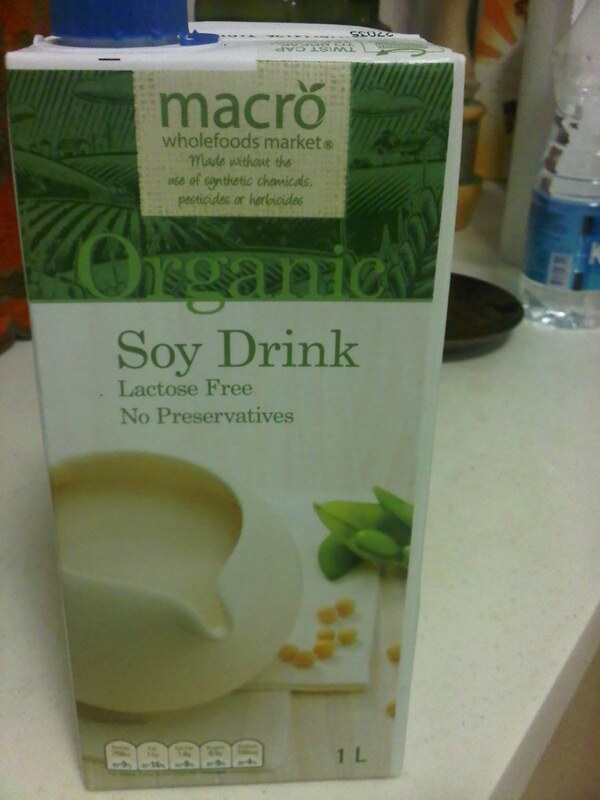 Fast despairing of finding any decent soy here, I have had one shipment of soy brought over by a Sydney mate. Another colleague on a business trip to Sydney, offered to find me some, however he didn't have any luck. Hence reinforcing my belief that this particular line has been discontinued. On my most recent trip to Sydney, I once again scoured the shelves of Woollies. On my last trip, I visited 3 different Woollies and couldn't find the brand I want. So this time, it was no different. The only thing was this green and white carton caught my eye. The colours were same as the brand I was looking for, the price was similar and Macro Wholefoods Market had been bought over by Woollies. So I deduced that perhaps the original version has morphed into this one because it just reminded me so much of the other. Hence I bought a carton back to Singapore and have concluded that yes, it is the same deal. As such, I know what I would be looking for on my trips to Sydney and my mates if they want to cart back something for me from Australia, this would be it. Ok mates, I am not difficult to buy for at all. We can't get enough of Freshly Baked. 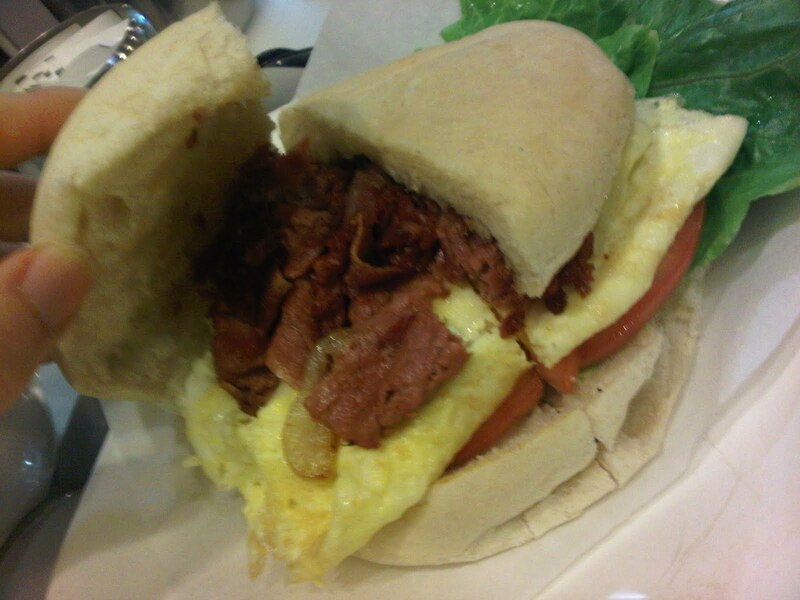 The tenderloin sandwich was yummy, coming a close second was this corned beef and fried egg sandwich. Except I had to get into a deep discussion on how I wanted my egg done. This is Singapore, they should understand when I say I want my egg, beaten and fried on both sides like a pancake till well-cooked. They never did understand this in Sydney, despite my practically demonstrating how I wanted the eggs done. No one has eggs that way, so no amount of instruction would help. So I gave up - in Sydney. Whereas in Singapore, I thought that if all failed, I would describe it as egg fried nasi lemak way and any true-blue Singapore would surely understand what I was getting at. 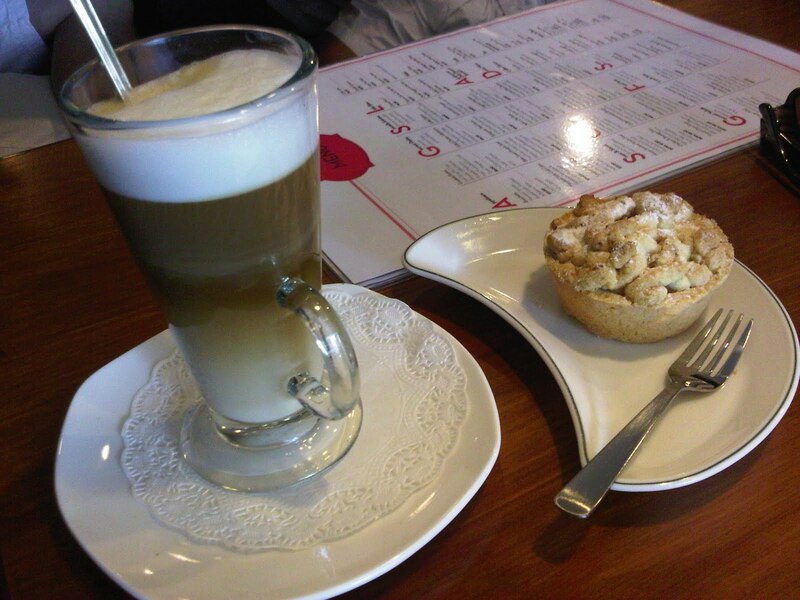 Anyway, Freshly Baked did get it right after our long discussion. They stay on our list. in Katong one weekend. There were lots of pretty-looking cakes. The coffee was forgettable, the cakes looked better than they tasted. We just needed an air-con break that afternoon with our Kiwi guests and this looked like the ticket. Unfortunately, I think it was completely forgettable. 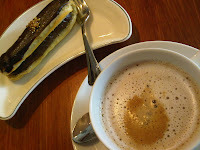 Well one good cafe out of two is not too bad in Singapore. I love, love, love Rozelle Markets in Sydney. It is one of the last real flea markets left in Sydney, not one of those touristy type of markets which churn out stuff for the tourists. But it is a true-blue market. And it never disappoints. Every visit is a success. I come back hugging some treasure close to my chest, hardly believing my luck. This time was no different. I scored this lovely, genuine snake skin vintage clutch for only A$5. Although it is not in an excellent condition, it is good enough for me and looks just so beautiful. The leather is gorgeous and the size is large enough to pop in my long wallet, blackberry, lippy and gloss, keys and tissue paper. Did I say I love Rozelle Markets?! I have been nursing a snake skin fetish the last month and a half. Not sure how this happened suddenly seeing as I get the shudders just thinking about those slithering, hissing creatures. But snake skin fetish saw me trawling pages and pages of Etsy trying to find a clutch bag and then when I lost out by seconds to my friend, C when she spotted such a clutch at the Rozelle Markets, Sydney for a very reasonable A$30, I was more than a little bit disappointed. It was a lovely vintage find in excellent condition. 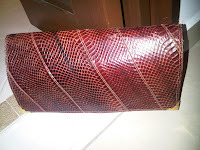 After that, I found a pair of peep toe faux snake skin pumps in a shop near work and I was really pleased with the design, price etc that I went back and bought 2 more pairs for mum and my friend S's birthday. 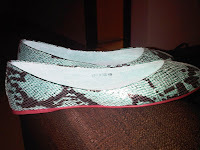 Finally, last week I went back to the shoe shop and saw these snake skin ballet pumps in a myriad of colours on sale! Oh happy day - these had actually caught my eye the other time I went in but at that time, they were new arrivals and had a price to match that. Now with 50% off, time to get them. I got them in blue and red. Why stop at one pair when you're onto a good thing?